Department of Labor (DOL) regulations require greater transparency of fees in defined contribution and defined benefit plans. 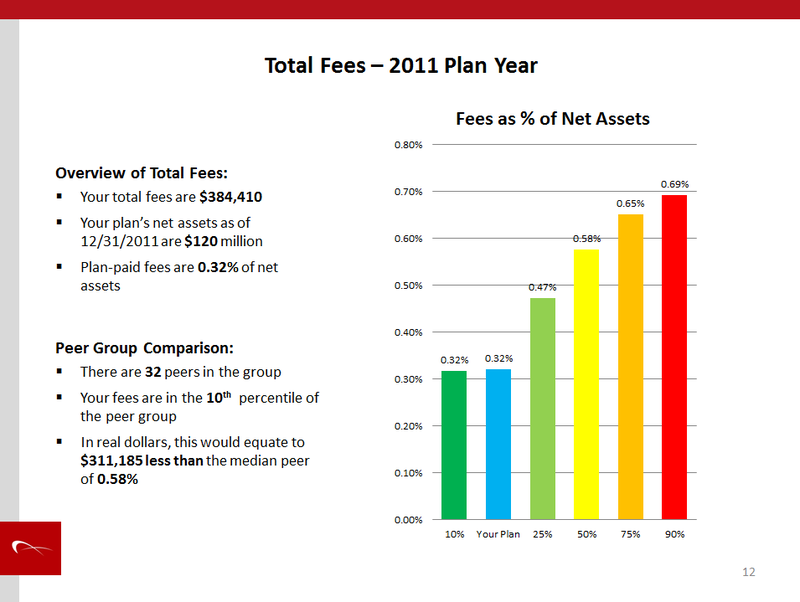 Comparing the plan’s fees against a large peer group of similar retirement plans is an effective means of determining fee reasonableness. 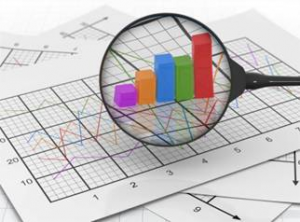 Why Is Fee Benchmarking Necessary? 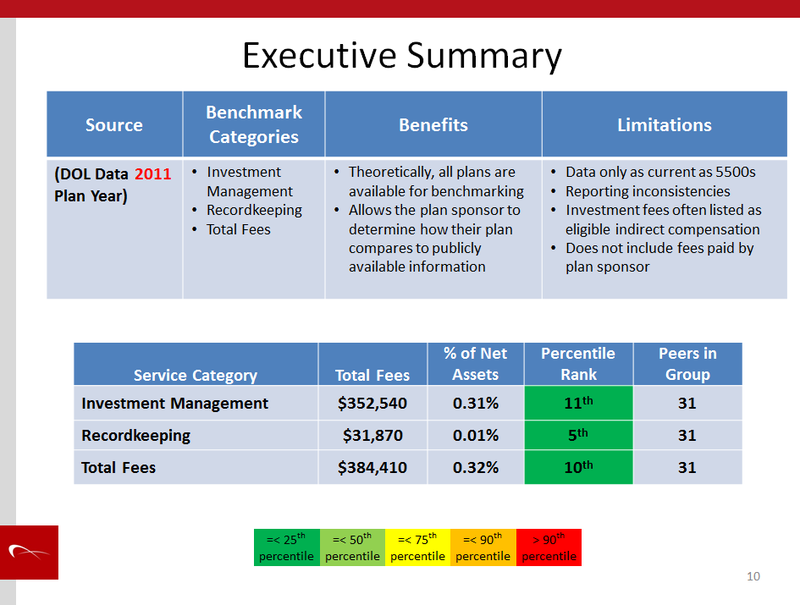 Reviewing the total value of each service provider is essential, but can be overwhelming for a Plan Sponsor. Fee benchmarking is a prudent and cost-effective method to aid the Plan Sponsor in meeting its fiduciary standard of conduct. Plan Sponsors should commission an independent firm to complete a fee benchmarking analysis of the plan’s service providers. Atéssa has successfully benchmarked both defined benefit and defined contribution plans for Fortune 10 companies. Atéssa’s in-depth analysis and customized benchmarking reports will provide the Plan Sponsor with the data and insight to make essential fiduciary decisions. Please contact Mike Bourne at 858-673-3690 x109 or mbourne@atessabenefits.com to further discuss benchmarking your retirement plan. Atéssa will be happy to provide a complimentary “total plan fee” estimate based on your plan’s publicly available fee disclosures on Form 5500.